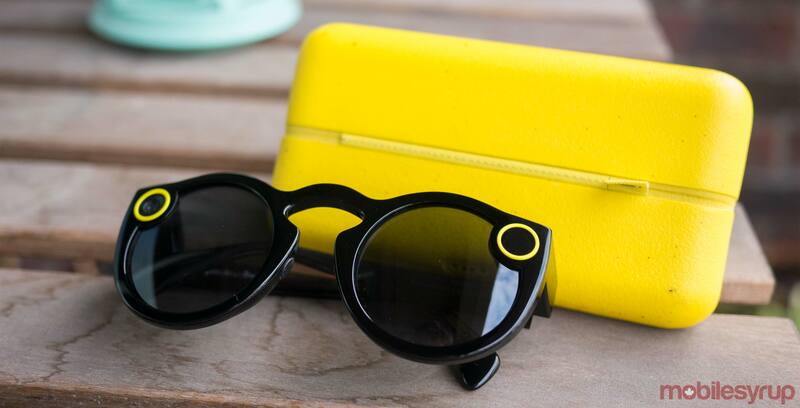 A new FCC listing seemingly confirms that Snapchat creator Snap will release a new pair of Spectacles later this year. The application was filed by Snap on April 2nd, 2018 and granted to the company on April 11th. The filing describes a “wearable video camera” with support for Bluetooth 4.2 and Wi-Fi. Normally that wouldn’t be much information to go on, but the listing also makes mention of the Spectacles trademark and includes a model “002” reference. Included in the filing is the FCC label that will adorn the new wearable’s packaging. It features a “Made for iPhone” logo, with a list of supported iPhone models. The wearable will work with every Apple smartphone made between the iPhone 5 and iPhone X. While there’s no mention of Android devices, it’s likely the new Spectacles will be compatible with a variety of Android smartphones as well. The filing corroborates a report by Cheddar‘s Alex Heath. In a series of tweets dated to March 2018, Heath revealed Snap was working on two new Spectacles models. According to Heath, Version 2 of Spectacles, which is almost certainly the model referenced in this FCC listing, will be an iterative update offering new colours and improved performance. Snap’s decision to continue investing in wearables is interesting. According to a report published by The Information in October 2017, the company had “hundreds of thousands” of Spectacles collecting dust in Chinese warehouses at the end of last year after initial interest in the wearable died down. Moving forward, it’s likely we’ll see the company be more conservative with its sales estimates.